Blogs with relevant content can have a great impact on your ranking in the search engines. Once you have put so much effort into every single blog post, you want to get as many eyeballs as possible to see and read your content. But publishing your posts on your blog only, is not enough. Only a fraction of potential readers will actually find their way directly to your blog site. Sharing the posts on social media is thus the best way to gain more outreach and increase your blog traffic. Social media networks help you to reach more potential readers and allow various ways of interaction with your audience. Cross-posting and cross-promoting your blog posts across multiple social media is hence an important step to increase the outreach of your blog posts. By sharing your posts on multiple social networks, you can attract more interested readers and visitors to your blog or your company’s website. 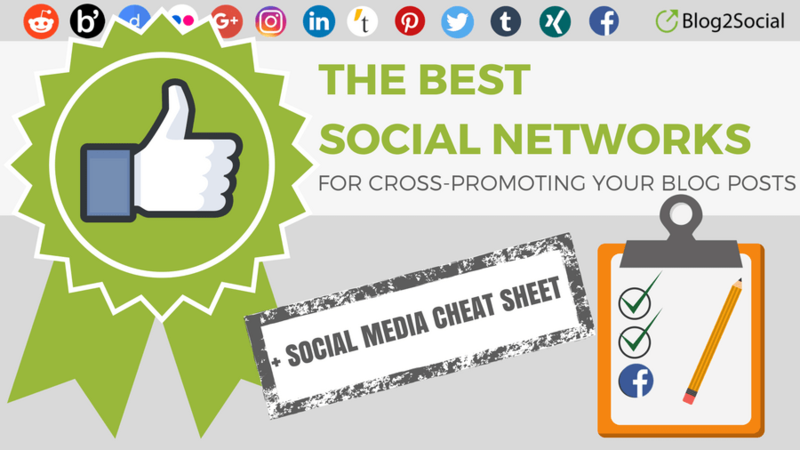 We have done a bunch of research and collected data from a lot of reputable sources and bundled them together in a handy overview and infographic on the best social media and what works best for cross-promoting your blog posts. Facebook is primarily used for private conversions with friend and family, but its also great for brand marketing in B2B and B2C communications. 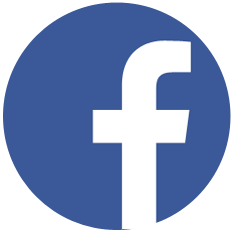 The Facebook business pages and groups offer multiple options for sharing valuable content as well as company and brand news. There is practically no limit for the length of a Facebook post. However, only the first 480 characters are displayed in the stream, the rest is hidden behind the “show more”-button. So make sure you put the essence of your message into these first 480 characters. When you share a blog post on Facebook always add a personal and engaging comment on why your followers shall read, like or share your post. Encourage your readers to share their opinion. Questions and personal comments work best for interaction. 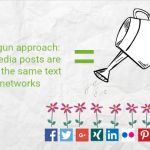 Engagement increases with more than one posts per day, but decreases with more than two posts. The lifetime of a Facebook post is 5 hours. Pin new blog posts to your timeline to extend the lifespan. Re-share your evergreen content every 2-3 month, but only on your profile and use a different or updated focus. The best times to post on Facebook are on afternoons between 13:00 p.m. and 16:00 p.m. and in the evening between 18:00 p.m. and 22:00 p.m.
A picture is worth a thousand words. Visual content is increasingly important for blogging as well as for posting on social networks. 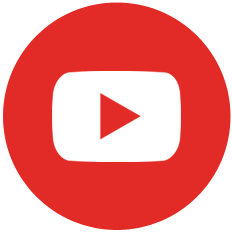 Posts with images or videos are more likely to get attention than bare text. Sharing your images successively will extent the lifetime of your posts and will also have an impact on your visibility in the search engines. Shared images with links will provide more possible search hits and backlinks to your blog. So, sharing your blog post images on social networks as image post as well as on photo-sharing networks such as Instagram, Pinterst and Flickr can gain more outreach for your blog and pull additional traffic from image search on social networks and search engines. Instagram is a short message network based on images and mostly photos. Unlike Pinterest, Instagram provides a unique square size for all images, which is 1080 px in width by 1080 px in height. Especially food, lifestyle and fashion bloggers use Instagram for sharing and networking. However, the network is also suitable for corporate communications. Whereas on Pinterest, images are organized in albums on pinwalls, Instagram displays all images in a single stream. Comments can be up to 2200 characters, of which only the first three lines are displayed in the feed. #Hashtags are very important on Instagram, so many comments consist of #hashtags only. Be sure to add your focus keywords in your comments. Share your featured image on Instagram, but also share other sharable images from your post gallery to re-share your post successively on Instagram. 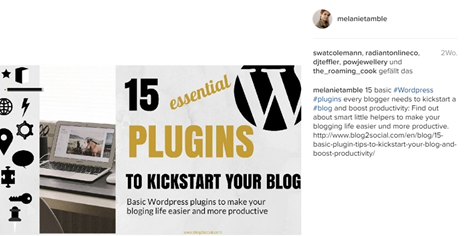 Use the key words of your blog post as hashtags, so that as many Instagram users as possible will find your picture. The best time to post on Instagram is in the evening between 17:00 p.m. and 20:00 p.m.
Genuine statistics for the Google+ network are hard to find. Any proclaimed user statistics will be, distorted by the fact that every Google+ account will be automatically connected with other Google services such as Gmail, Youtube, Google Drive, Google Photos, and many more. So it is very likely that most of the proclaimed 554 million “active users” actually never visit the network’s site. However, active profiles on Google+ have an impact on the ranking in Googles search engine, so it is definitely worth using it. 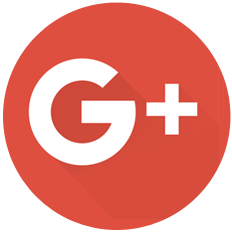 Like Facebook, Google+ allows users to connect followers in “Circles” and use pages and communities to share news and comments. The network serves primarily corporate communications and expert talk, so its most active users are communication experts, SEOs and bloggers. Re-share your evergreen content every 2-3, but only on your profile. The best times to post on Google+ are between 7:00 a.m. and 10:00 a.m. in the morning and between 14:00 p.m. and 15:00 p.m. in the afternoon. Tumblr is the most popular blogging community where users publish and share texts, images, quotations, links and videos. Tumblr provides the complete functionality of a blog. 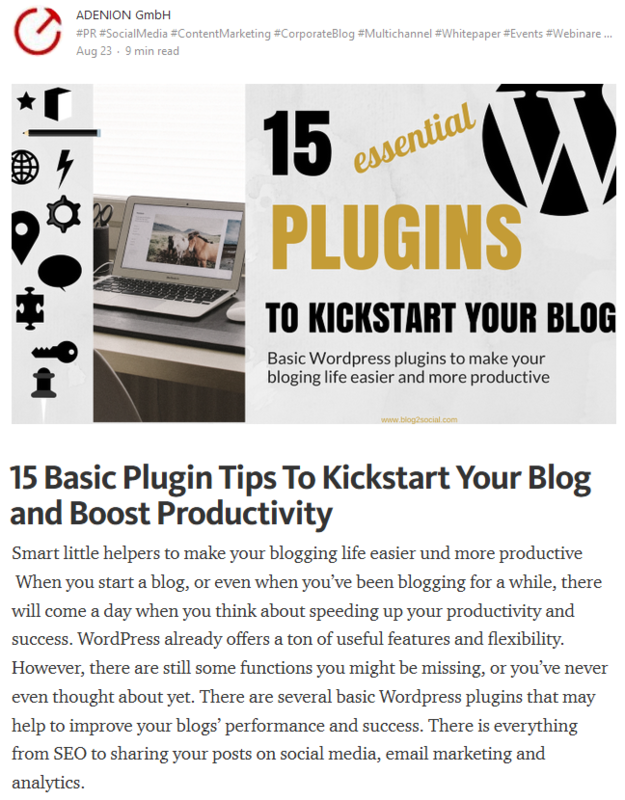 up to 154 billion blog posts per day. 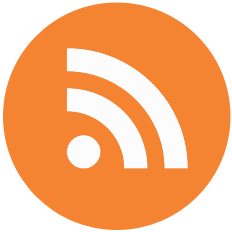 You can re-publish your entire blog post on Tumblr. The best time to post on Tumblr is late afternoon and in the evening between 16:00 p.m. and 22:00 p.m. Even though Twitter has doubled its 140-character limit to 280 characters, it will still remain a short message service. This is why it is important to always get right to the point when you tweet a message. post about 500 million Tweets per day. Customize your content for every tweet by using individual comments and images or even post formats. Twitter Card Tags are the best way to display your blog posts with images, titles and descriptions in your link preview. The life time of a tweet is about 18 minutes. 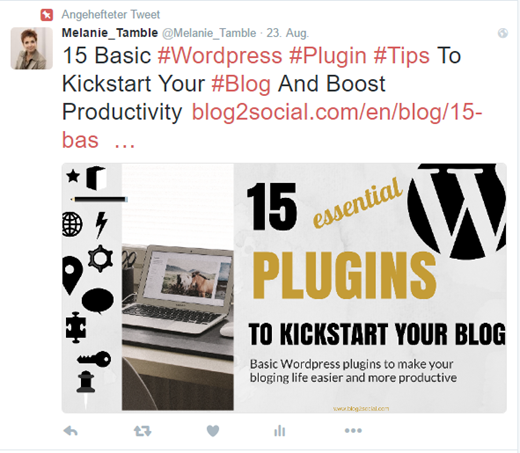 You can pin your new blog posts as “Pinned Tweet” to extent the lifespan and draw more attention. So it might be a good idea to share your blog post more than once on different days and at different times. Post it up to 4 times during the first 36 hours, then slow down on weekly and then to a monthly frequency. Afterwards, you can keep on posting it as evergreen content (every 2-3 month), but always mix your posts with curated content and other relevant content and re-tweets. Tweets with images get more reactions than tweets without images. Tweets with images work best with 20 to 40 characters. 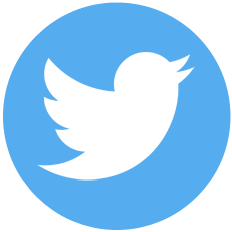 Most successful tweets are between 80 and 110 characters. Tweets with links get more reactions. Also adding up to 4 hashtags get more reactions, than Tweets without hashtags. 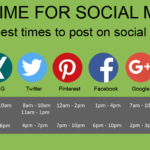 The best time to post on Twitter is in the morning between 8:00 a.m. and 10:00 a.m., on midday between 11:00 a.m. and 13:00 p.m. at midday and in the evening between 16:00 p.m. and 19:00 p.m.
50 billion pins, with 1.7 billion food pins. About 40% of global marketers use Pinterest for company marketing purposes. Pinterest is mainly used for brand communication. 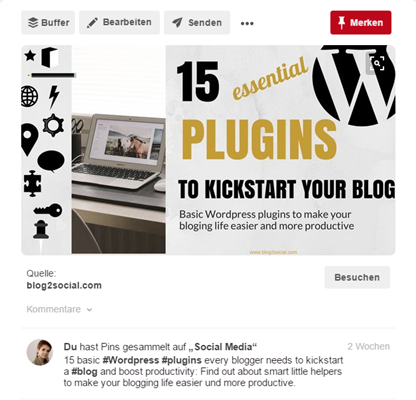 On Pinterest, you can organize your images on specific pinboards, which helps you to create a visual brand identity. Everything visual from photos, screenshots, infographics to posters is allowed. You may describe and comment your images in 500 characters. You can create long pins with both images as well as text. Post the featured image for your blog post on Pinterest with a link and description of your original blog post. Also share other sharable images from your post gallery successively to re-share your post on Pinterest. Add focus keywords in form of #hashtag in your comment, so that your images are easier to find. The lifespan of a pin lasts about 4 month. The best times to post on Pinterest are at midday between 12:00 p.m. and 14:00 p.m. and in the evening between 19:00 p.m. and 22:00 p.m.
Flickr is one of the oldest photo-sharing communities and is directly integrated into Yahoo’s online services. Flickr can still reach a lot of people. There is no limit of characters for your post. 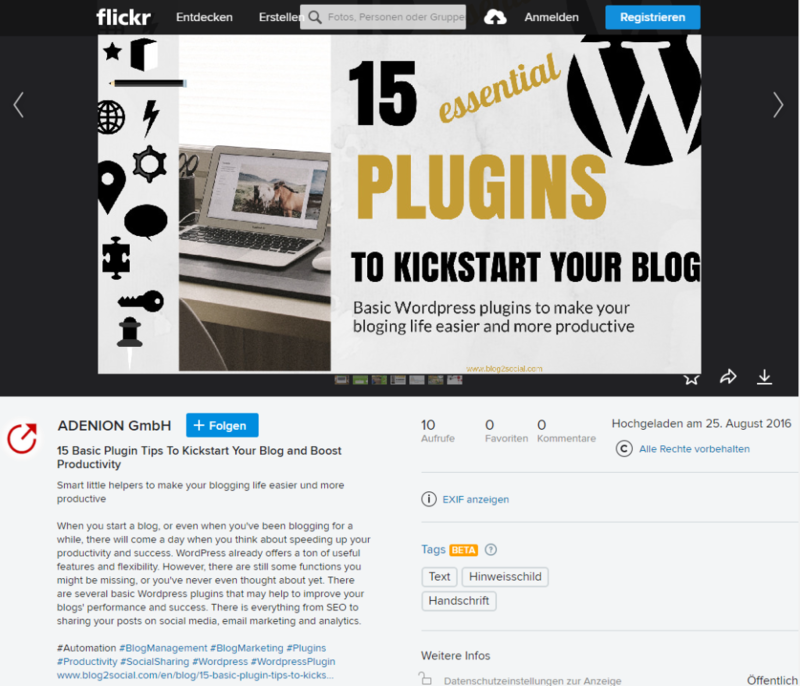 Use your keywords as #hashtags, so that your images can be found more easily on Flickr. 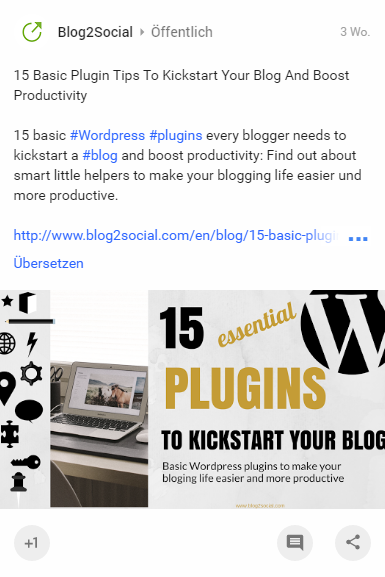 Share the featured image of your blog post on Flickr with a link to your blog post, and share all other blog post images successively. The best times to post on Flickr are in the morning between 7:00 a.m. and 9:00 a.m. and in the evening between 5:00 p.m. and 7:00 p.m.
LinkedIn allows to post on profiles, on business- and focus pages and in LinkedIn groups. You can also re-publish your blog posts and syndicate your content on LinkedIn’s content network LinkedInPulse. The lifespan of a LinkedIn post lasts about 24 hours. People are most likely to read your post in the early morning hours before work and after work in the late afternoon. Remember the time difference when you post for international clients. The best times to post on LinkedIn are in the morning between 8:00 a.m. and 10:00 a.m. and between in the afternoon 16:00 p.m. and 18:00 p.m. Medium is an editorial network for social journalism, focusing on the exchange of ideas, articles and stories. The network is known for its committed and interactive readership. The best time to post on Medium is between 6:00 a.m. and 15:00 p.m.
For re-publishing blog posts always share your post on Medium with a delay of 5-7 days to let Google index your original blog content first. You can also share posts on Medium “Publications“. Publications on Medium are like micro-magazines, collecting and displaying articles on specific topics. 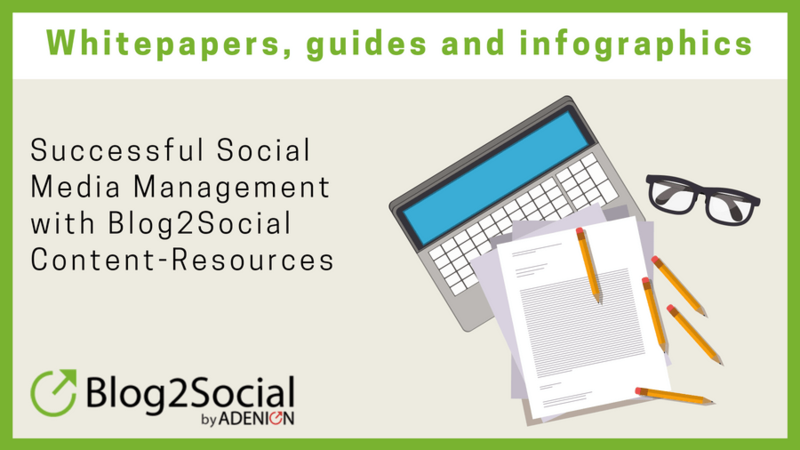 Social bookmarking networks are great for save, organize and share links to all kinds of online resources easily. Always be sure to save your blog posts as links to your collection and share them with your followers and friends. 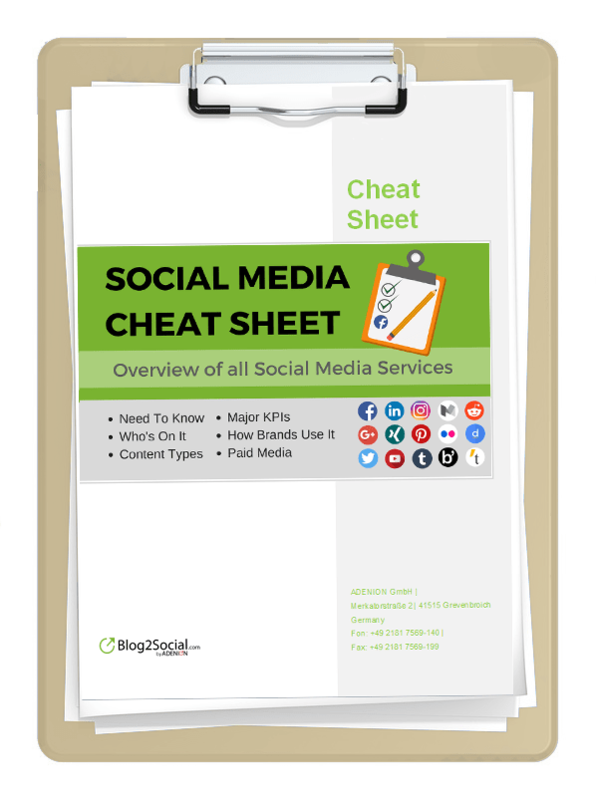 There is a wide range of even more social networks giving you various options to promote your blog post. However, manually promoting your post on every single network is painstaking and time consuming. Automating this process can save time. 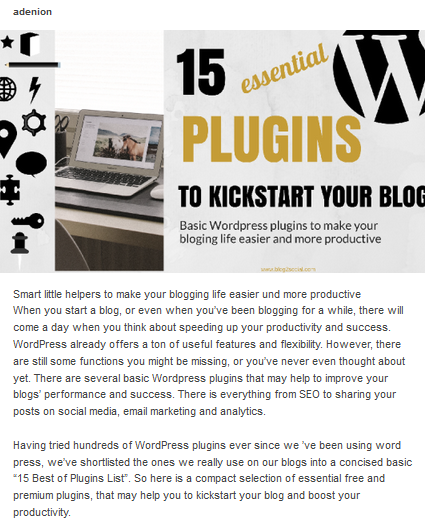 There are several cross-posting plugins and tools on the market that promise to do all the work for you. However, there are pros and cons of automation and there are certain rules you should stick to in order to make your automation strategy a success for your content. 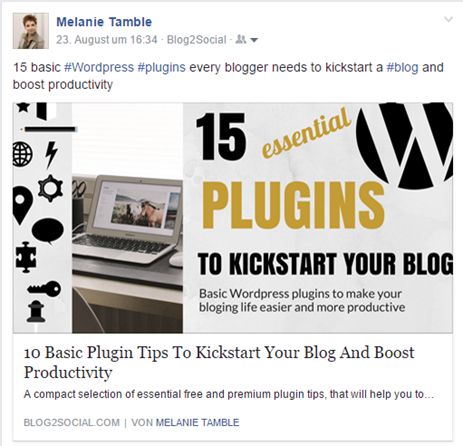 The WordPress Plugin Blog2Social automatically turns your blog post into the optimum format for every network. The plugin allows you to customize each post for each network individually with personal comments, hashtags or handles on a one-page preview page for all networks. You can also schedule your post on network-level or use the best time scheduler to share your posts automatically at the best time to post on each network. You can schedule your post on a one-time or recurring basis. Blog2Social cross-shares your posts on Facebook (profiles, pages), Twitter, Google+ (profiles, pages, groups), LinkedIn (profiles, pages), XING (profiles, pages, groups), Diigo, Delicious, to Tumblr, Medium, Torial for re-publishing your post, as well as your images on Instagram, Flickr and Pinterest. It’s free to use it for crossposting, cross-promoting and customizing your posts and there is a Premium upgrade for advanced sharing and scheduling features.